1 April 2008: As a provincial-level municipality, Han Zheng, Mayor of Shanghai, ranks alongside provincial governors in the order of precedence in the People's Republic of China. The city was able to achieve considerable autonomy compared to other Chinese cities under the administration of president Jiang Zemin, owing to his dependency on the Shanghai faction, and enjoyed an unprecedented boom in recent years, which former mayor Chen Liangyu sought to retain the proceeds of. As such, the city's heady mix of runaway growth and political turbulence has been seen as a metaphor for China's rise in recent years. The mayor has been shortlisted for the 2008 World Mayor Award. Zheng was born in 1954, in Cixi, Zhejiang Province, which borders Shanghai municipality. He joined the Communist Party of China (CPC) in 1979. In Shanghai, Han became secretary of the Communist Youth League Committee of the Chemical Industry Bureau, as well as secretary of the CPC Committees of the Shanghai No. 6 Rubber Shoes Factory and the Zhonghua Rubber Plant. He holds a master's degree and is a trained economist. He was appointed Deputy Secretary General of the Shanghai Municipal People's Government and acted as head of the Luwan District. 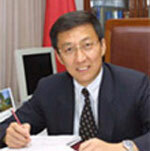 He became vice-mayor of Shanghai in 1998 and then mayor in 2003, at 48 the youngest in the city's history. From 2006-2007 he served as acting secretary of the CPC Shanghai Municipal Committee, owing to the removal of former mayor Chen Liangyu on account of the 2006 pensions scandal. The scandal, which alleges the transfer of billions of yuan of pension fund receipts into real estate schemes, was emblematic of a regional power struggle within the CPC owing to the strength of the Shanghai faction and Chen's loyalty to former president Jiang Zemin, which the current president Hu Jintao is moving against. Chen also pitted the city against the policy of the Beijing national government with its rapid expansion of real estate at any cost. While Chen's corrupt activities are well-documented, such as the sale of city-held land to his brother at inflated cost and his keeping of lovers on city funds, his removal was seen as being motivated by his links to the Jiang faction. As Zheng served as deputy mayor under Chen, his support for Chen's stance on expansion of the city and anti-Beijing rhetoric may yet cost him his career. Observers of the emerging 'fifth generation' of western-educated technocratic Chinese leaders note that Zheng is the only member of the Shanghai faction not to sit on the CPC Politburo and his swift replacement as acting local party head with Zhejiang party chief Xi Jinping. While most consider Xi on course to assume a pivotal role at the next party Congress, Zheng's future is not so assured, though he remains popular in the city for his open style of governance. Zheng was delegate to the 14th and 15th CPC National Congresses, and was a member of the 16th CPC Central Committee. He is currently a member of the 17th CPC Central Committee. 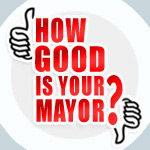 City Mayors provides Mayor Monitor (MM) to allow residents and non-residents to rate the performance of mayors from across the world as well as highlight their ‘best’ and ‘worst’ decisions. Mayor Monitor uses the widely understood one-to-ten rating system, where '1' signifies an extremely poor performance and '10' ‘an outstanding one. In addition to rating mayors’ performances, citizens are invited to highlight the best and worst decisions by city leaders. Over time, Mayor Monitor will provide a valuable track record of mayors’ successes and failures as well as their popularity among residents and a wider public. The results will be published on the City Mayors website and updated monthly. Please rate your mayor now. The ratings will become a contributory factor of World Mayor 2010.